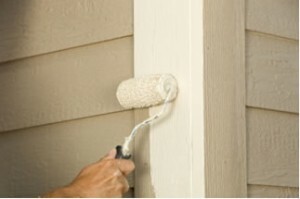 10 Ways to Renovate Your Home for Under $500 | Your home, only better. 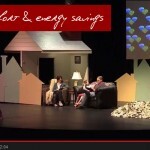 If you had $500 to improve your home, what would you spend it on? Projects that improve the appearance or the efficiency of your home? It’s that old form versus function thing! 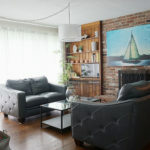 Anyway, thanks To Ryan for this guest post highlighting 10 ways to improve your home for under $500. It’s unfortunate that so many people jump headfirst into home renovation without really stopping and thinking about how to do it efficiently and effectively. Anybody can just throw money at home renovation projects without planning and hope for the best, but before you know it you’ll have spent thousands of dollars with very few noticeable changes. Artists are experts at producing beautiful results that appear to be effortless. Likewise, there are home renovation projects that can produce striking, expensive-looking results for surprisingly little time and money. Here are ten simple ideas to improve your home on a budget of $500 or less and look like you spent ten times more. If you want to stretch your home renovation dollar, start in the bathroom. 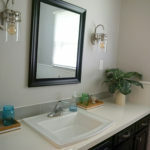 Buying new furniture or full scale kitchen remodeling can get very expensive, very quickly, but when it comes to bathroom remodeling, a few dollars can go a long way. 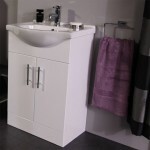 Whether you’re considering steam shower units, replacing old out of date sinks with vanity sinks or just replacing the toilet seat, every dollar spent on the bathroom looks like twenty. Nothing looks cheaper than old linoleum on the kitchen floor covered with scuffs and stains. It just looks dingy, no matter how many times you mop. 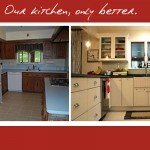 But you don’t have to go through the hassle and expense of major kitchen remodeling. Some new tiles for the floor can make an enormous difference on a budget and can take as little as a single afternoon to install. One of the easiest and cheapest ways to add value to your home is to buy a new washer and dryer combo, or even a gently pre-owned combo. The convenience of washing clothes at home is great for the current homeowner and a big plus for any prospective buyers. 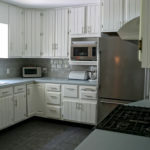 Installing a new dishwasher or refrigerator is a simple and relatively inexpensive kitchen remodeling project as well. It’s possible to replace the carpet in a bedroom for as little as $100-$200 if you shop around, and yet a fresh, new carpet can literally add thousands of dollars in value to your home, all for an investment about the size of a single week’s grocery bill. The same is true for window treatments. Simply replacing your old, dated curtains with contemporary new binds can be a huge improvement that actually costs very little, especially if you hang them yourself. Tankless water heaters can set you back several thousand dollars or just a few hundred depending on the make and model and whether or not you have the confidence and know-how to try and install it yourself. The money you will save over time on your energy bills, as well as the appeal of instant hot water, make tankless water heaters a wise investment that prospective buyers will appreciate, especially alongside new deluxe steam shower units. Sprucing up the lawn a bit can be fairly cheap if you simply plant some grass seeds and mow it regularly. It may not seem like much, but you’d be surprised what a nice lawn can do to boost a home’s curb appeal and resale value on the market. Glass is actually not a solid; it’s a very, very slow moving liquid. Not a lot of people realize this, but it becomes clear if you take a look at windows in homes that are more than twenty years old. You’ll see that the glass is thicker on the bottom than on the top because it’s slowly dripping down. Replacing these old windows with new glass is relatively cheap and can make them sturdier and safer, not to mention more energy-efficient. Broken fences may not reflect poorly on the house so much as the neighborhood. When people see fences with missing boards and such, they might jump to the conclusion that the people in this neighborhood don’t care about their homes. A quick, fifty dollar repair job on those missing pieces of fence can make a difference of perhaps thousands of dollars on your home’s value when it comes time to sell. Plus, it will make your home look better while you live there. It doesn’t take much work, skill or money to patch up the cracks in your front walk or driveway, but it will make your place look a whole lot nicer. Some people worry that a patch of new cement looks very clean in comparison to the surrounding cement, but you can remedy this by pressure washing or scrubbing the entire area in order to get it all looking like new. 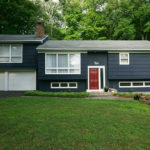 Repainting your home costs very little money when you consider the pay off, and yet, it’s one of the most neglected home renovation projects. 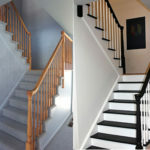 With a spare weekend or two and a couple hundred bucks, it’s easy to make your whole home look and smell like new with a thorough repainting inside and out. This guest post article was written and provided by Ryan Tupper who has been remodeling houses, kitchens and bathrooms for over 10 years. Tupper gets the majority of his supplies from DecorPlanet.com. « Easy Halloween Treat – No Trick! Art is another great way to change a room. Try a feature print above your bed or on the main wall in the living room to create a new look! Yes dont dive right in yes i know it seems easy make your self a plan and a time-scale or get someone to do it for you otherwise you’ll end up in a mess. 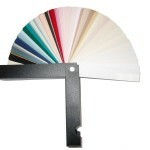 I am in this situation -with a tiny budget to redecorate my home-, you helped me a lot! Wow… those things can be done for under $500?